The Sumerians and the Egyptians were both great civilizations that flourished in antiquity around the same time and were among the first nomadic groups to settle in the one place ‘“ the cradle of civilization. While many lay people have at least a perfunctory knowledge of the ancient Egyptians, the Sumerians, perhaps unfairly, are less known to the general population. The Sumerians were a people who settled on the flood plains of the mighty Tigris and Euphrates Rivers around 4000 B.C in what is today part of Iraq. Ancient Egyptian society had taken shape on the nutrient rich banks of the Nile River. While both the Sumerians and the Egyptians chose to settle in fertile river plains and developed sophisticated agriculture, religion and political systems, there are also many differences between the two groups and the key features of their ways of life. Sumerian religion was based around the worship of four life giving deities ‘“ the god of heaven, the goddess of earth, the god of air and the god of water. In the Egyptian pantheon there were around 2000 recognized gods and goddesses. In Egypt the pharaoh was worshipped as a living god, but Sumerian society was not a theocracy. Another difference between the Sumerians and the Egyptians is the way they approached death and prepared for the afterlife. The Egyptians were reasonably well protected from attack and thus lived lives that embraced the future and they made grand preparations for their passage into the afterlife. In contrast the Sumerians were vulnerable to attack and lived a much more volatile existence. Their funerary rites were uncomplicated for their passage into the afterlife. The Sumerians were one of the first peoples to develop a system of writing. Their writing system was called cuneiform and was named after the wedge shaped writing implement used. It was etched onto clay tablets, which were then fired in kilns to make the writing last. The Egyptians developed hieroglyphics, which were a very different style of recording information and they also wrote on papyrus made from reeds. Papyrus was cheaper and easier to produce than clay tablets, which resulted in vast record keeping capabilities with the Egyptians. The differences in geography between the two civilizations led to the development of different writing technology. When comparing the technological advances of the two great civilizations Mesopotamia’s is more impressive. This is probably due to the fact that the surrounding environment of the Sumerians was harsher and more difficult to predict and manage. Sumerian and Egyptian governments were quite different. Egyptian government tended to be more authoritarian with absolute power residing with the pharaoh; however in Sumer the city-state politics allowed for more input from nobles acting as councils. 3.Both peoples developed complex, but different writing systems for the purpose of record keeping. 4.The Sumerians had more technological advancements than the Egyptians. 5. Egyptian government was more authoritarian than Sumerian government. Rachel. "Difference Between Sumerians and Egyptians." DifferenceBetween.net. October 28, 2009 < http://www.differencebetween.net/miscellaneous/difference-between-sumerians-and-egyptians/ >. I read this and saw, among other things, a statement about Sumer’s technology being more impressive than that of Egypt (Khemet). Here’s the problem, no evidence whatsoever is given to back up that statement. I find it hard to accept this article without any proof of the ideas being shared. Also the ancient Egyptians (Khemw) had a hierarchy to their divinities. 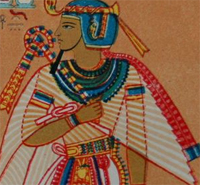 They had a belief in one deity (AkenAten-The Amarna Period). Every term I shared you can check for yourself. I suggest that’s what any intelligent reader of this should do. No one gives a damn, Vincent Williams. Sir, might you consider changing your name to Vinnie S. Willies. Your an idiot, he is absolutely right to state the obvious so people of intellect can further their knowledge. For some evidence; Try the book “History begins at Sumer” for starters. Egyptians took from Sumerians! There is no history of Egypt’s building up to where they became so prosperous, and there is plenty of evidence that they took a lot from Sumerians who had built many a grand temple waay before Egyptians…because Egyptians were copy-cats and learned from other societies and became very flashy unlike the humble Sumerians, they became known for their memorable buildings and drawings. But without their predecessors who they learned from, there would be no Egypt that just sprung up!…..believe it or not…I’m studying that right now…. making you an “unintelligent reader”. You ask for evidence and provide none for your own statements. It saddens me that supposedly fortunate people of education can possibly respond to a sharing of knowledge, should be met with such playground bullying of someone else’s interpretation of this subject matter. It surprises me how some seem to find any excuse to want to destroy another’s efforts…when will we as Homo sapiens make a conscious effort to support one another with our contributions than resort to warring tactics intended to stir people up. It’s no wonder mankind is still killing one another mercilessly. Disappointed.. in a forum where I expected no such discourse. Thank you so much for writing this!!!!!!!!!!!!!!!!! This article really helped me when I have to compare and contrast the Egyptian culture and the Sumerian culture.! Mr. Williams your absolutely correct and Brian is just plane ignorant! you literally took the words out of my mouth, brittanty farts. literally. The same for me, Hugh G. Rection, the same for me. my college corse textbook that i’m reading right now says that sumerians were a theocracy. Your writing is very subjective. So although there may be some relative information in this post it has to be with a grain of salt. You say the Summerians were more technologically advanced because their conditions were harder… That is very subjective. The article is greatly mis-informed. Sumerians and Egyptians were 1 in the same. There is no evidence of a cuneiform writing .. also using clay/stone to write was and is still standing in Egypt/ Kmt. Also the portion of this article speaking of the religion is incorrect- as Egypt/ Kmt culture specifically identifies the 4 Ntru (nature dieties)- but they also had others to explain life. there are not just 4. Ancestral relam also is not mentioned. Egyptians did not worship a pharaoh. The pharaoh was the leader or the people to speak to the ancestral realm and to bring forth the best of the people into the culture. In the end.. what we know of the world today- is not the same that existed then. Egyptians and Sumerians were 1 in the same people living in different regions and having diff names to the people who came to know them.